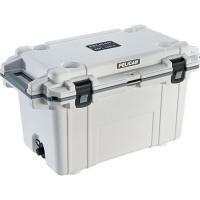 Pelican 70QT Elite Cooler FREE SHIPPING! Pelican Products has protected defense, emergency and scientific expedition equipment through some of the harshest conditions on Earth since 1976. This same DNA is now available to you in Pelican Elite Coolers. We hold ourselves to higher criteria than other cooler makers. When it comes to durability, performance and ergonomic design, just “good enough” doesn’t cut it. As a result, Pelican Elite Coolers perform to higher standards — better than any cold locker, tougher than any icebox. Pelican Elite Coolers are true next-generation innovations, created to last a lifetime. Whether you’re on the hunt of a lifetime, far out at sea with a cooler full of catch, crossing deserts on safari or simply tailgating during a big game – the Pelican Elite Cooler is the one for you. ©2002-2019 CopsPlus.com: Pelican 70QT Elite Cooler FREE SHIPPING!